We’ve never elected a female to these top posts. But our current crop of female politicians just might change history. Clockwise from top left: Karyn Polito, Linda Dorcena Forry, Michelle Wu, and Maura Healey. Here’s the dirty little secret about Massachusetts politics: We’re not as progressive as we think when you look at our track record of electing women. Take, for example, our own State House, where only a quarter of the legislators are female. We’ve been stuck at that number for more than a decade, putting us in the middle of the pack nationally and last in New England. Vermont’s State House, by comparison, is nearing parity, with women taking up 41 percent of the seats. But here’s why we should be optimistic: While women have not yet reached a critical mass in public office, the brightest political stars in Massachusetts happen to be female. Think US Senator Elizabeth Warren and US Representative Katherine Clark; Attorney General Maura Healey and Lieutenant Governor Karyn Polito; state Senators Linda Dorcena Forry and Sonia Chang-Diaz; state Representative Keiko Orrall; Boston City Councilors Michelle Wu, Ayanna Pressley, and Andrea Campbell. Quincy City Council president Kirsten Hughes. These women know how to get things done, and they know how to connect with voters. They’re ambitious, and their names keep popping up as candidates for higher office. 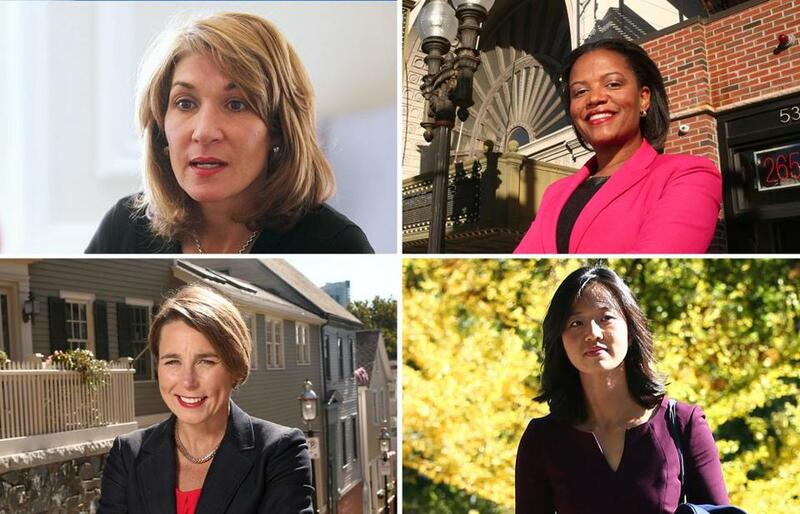 Political observers will tell you that these women have a serious shot over the next decade to crack two of the state’s hardest ceilings: the gold dome of Beacon Hill and the fifth floor of City Hall. “We are poised right now for a major breakthrough,” says Evelyn Murphy, the former lieutenant governor who in 1986 became the first woman elected to statewide office in the Commonwealth. The 2016 top 100 women-led businesses in Mass. Read: Why women are starting to get construction jobs in Mass. Women already dominate state constitutional offices: lieutenant governor (Polito), attorney general (Healey), treasurer (Deborah Goldberg), and auditor (Suzanne Bump). Martha Coakley, the former attorney general, came close to becoming governor in 2014, trailing Charlie Baker by only about 40,000 votes. In a field of 12 candidates in the Boston mayoral race in 2013, the lone woman, Charlotte Golar Richie, a former state representative and Boston housing chief, came in third. So what would it take for women to break through the highest offices? “You might be asking the wrong woman,” quips Coakley, who is now of counsel at Boston law firm Foley Hoag. Coakley tells me she is proud of the race she ran, but that for all the barriers women have broken, it’s just tougher for female candidates. Before her gubernatorial run, there was Kerry Healey, who lost by a wide margin to Deval Patrick in 2006, and Shannon O’Brien, who also came up well short in her race against Mitt Romney in 2002. Jane Swift, who was elected lieutenant governor, got to serve out Paul Cellucci’s term after he left to become US ambassador to Canada in 2001, but she couldn’t muster support for a gubernatorial run of her own. “There are still a lot of societal forces here in Massachusetts,” says Coakley, a Democrat. Fund-raising is difficult for women, who don’t have the same deep-pocketed network as men, she says. Supporting reproductive rights can be a strike against female contenders in a state that is heavily Catholic. And when a coveted office does open, party leaders traditionally have had a tight grip on whom to support and a host of hopefuls to choose from. “The queue is long, and women and minorities are often at the end of that queue,” says Coakley. A first-time candidate in 2014, Maura Healey proved the naysayers wrong, winning by a landslide. Now she’s talked about as a potential governor. Which may explain why the current crop of female pols is so fierce: They’ve made it against all odds. 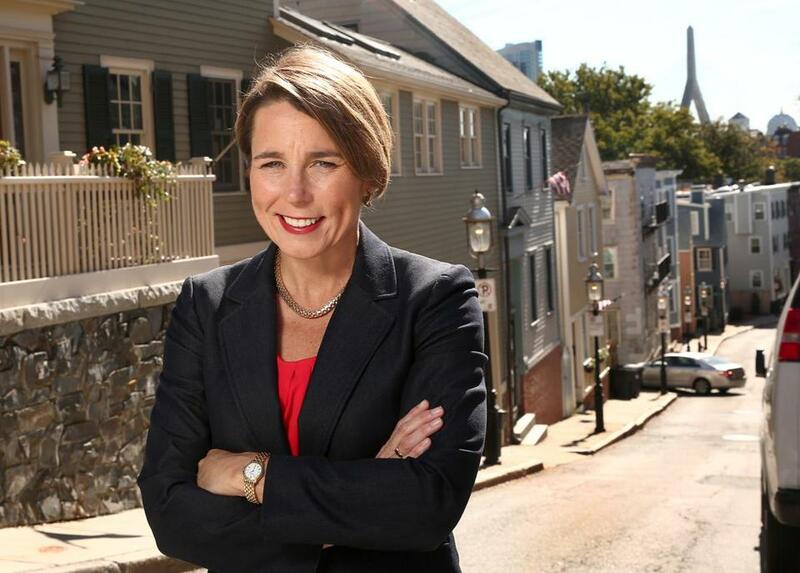 Take Maura Healey, who was a first-time candidate in 2014 when she ran for attorney general. Democratic insiders told her she wasn’t ready. They told her she couldn’t raise the money. They told her it wasn’t her turn yet. They actively worked to derail her candidacy. Judging by her resume, Healey should have been somebody who was encouraged to run from the get-go. She spent time in the private sector as a lawyer as well as in the attorney general’s office under Coakley overseeing a major division. Healey was even a sports star, captain of the Harvard women’s basketball team who went on to play professionally for a couple of years. Healey ran a grass-roots campaign vowing to be the “people’s lawyer.” The message resonated with voters, and she hopes her victory will inspire other female newcomers to run. Polito, the lieutenant governor, notes that many women are reluctant about public office because they’re worried about the impact on family life. That’s why she thinks it’s so important for women interested in politics to have female mentors and role models. This year, Michelle Wu became the first woman of color to serve as Boston City Council president. Is a mayoral run in her future? Just in the three years since she made her own political debut, Michelle Wu has noticed a shift in attitudes. Before, only young men at events used to ask Wu for advice about running for office. Today, she’s hearing more and more from young women. “I feel that the sea change has started,” says Wu, who in January became the first Asian American and the first woman of color to serve as Boston City Council president. The Roslindale Democrat also believes millennial women like her are raising their hands because they’re moved to action. Many of today’s problems — from climate change to crumbling infrastructure — can be traced back to policy decisions made years ago, and this generation fears for the future if nothing is done. Someone has to tackle income inequality and create social change with policies such as parental leave and criminal justice reform. Like Healey, Wu, a former small-business owner and Harvard Law graduate who worked on Senator Warren’s campaign, came out of nowhere to become one of the state’s most buzzed about politicians. So I just had to ask: Will Wu run for mayor someday? Both Healey and Polito give similar answers when asked about a gubernatorial bid. But the fact that we’re asking them about higher office is a sign of progress for Massachusetts, reflecting a deep bench of female talent. Besides Maura Healey, Clark, the Democratic congresswoman from Melrose, has also been talked about as a potential gubernatorial hopeful. The pipeline is so strong, it’s not inconceivable we might see an all-female general election of Healey vs. Polito for governor, or Forry vs. Wu for Boston mayor in the near future. Meanwhile, Republicans might have another office in their sights. According to a recent WBZ/UMass Amherst poll of potential matchups, Polito could be a formidable challenger to Senator Warren in 2018. 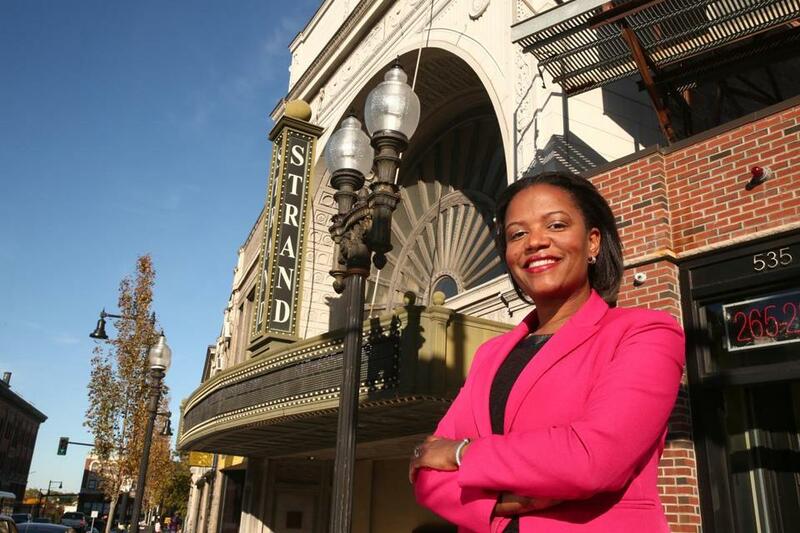 In 2013, Linda Dorcena Forry took over a state Senate seat long held by men from South Boston. Perhaps the talent has always been there, but the difference now is the growing sisterhood to propel women into office. The Massachusetts Women’s Political Caucus has for a long time helped women once they’ve declared their candidacies, but in recent years other groups — from Emerge Massachusetts to the Asian-American Women’s Political Initiative — have introduced programs that encourage women to serve in government or launch campaigns. Then there’s Barbara Lee, a Cambridge political activist who has bankrolled many a female candidate from local contests (including Coakley and Healey) to national races, most notably Hillary Clinton’s historic run for president. Voters are ready for a change, too. Take Linda Dorcena Forry, the state senator from Dorchester, who in 2013 took over a seat long held by men from South Boston. The victory for the Haitian-American, who had been a state representative, has put her on a bigger stage, and people are already talking about her next steps. Mayor? Governor? Congresswoman? Like a good politician, Dorcena Forry avoids direct answers. “You never say never,” she says. But she is willing to make a prediction. “In our lifetime, we should — and I’m hopeful we will — see a woman mayor and a woman governor,” she says. Shirley Leung is a Boston Globe columnist. Send comments to shirley.leung@globe.com and follow her on Twitter @leung.